Although the company made its name producing classic charcoal kettle grills, they have since diversified to provide highly popular natural gas and propane grills. Buying a portable grill can sometimes mean making some compromises. With most models, the big compromise comes in terms of quality. Portable grills are often made to be disposable, lasting just a few seasons before they need to be replaced. Over time, this can leave you wondering whether you should have just spent more in the first place to get something of higher quality. Weber is a brand that is well known for quality grills and innovation. Although the company made its name producing classic charcoal kettle grills, they have since diversified to provide highly popular natural gas and propane grills. The Weber Q2200 is the culmination of years of research and innovation, and it’s a relatively compact grill that is one of the best propane grills for home use and portability. If you want to know what you get when you spend a little extra for a high-quality grill, then this is the review for you. Although small and portable, the Weber Q2200 still packs plenty of great features that will impress any buyer. Easy start ignition with infinite control gas valve. 280 square inch cooking surface. Stainless steel burner for durability. Runs from disposable LP gas cylinders. Hooded lid with temperature gauge. Buying a Weber comes with a certain expectation of quality. 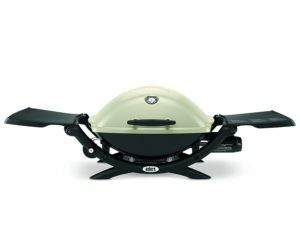 The Weber Q2200 Liquid Propane Grill immediately stands out with a unique design. Similar to electric kitchen grills, the design is modern, sleek, and professional. 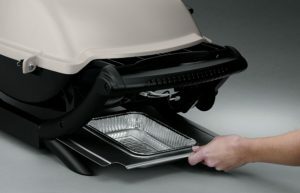 Although a relatively small grill, it includes folding side shelves as well as a hood for top-down cooking. Buying a Weber comes with a certain expectation of quality, and even though this is one of the smallest Weber grills that you can buy, there have been no corners cut. The body is made from cast aluminum, which is heavier and sturdier than standard aluminum sheeting. 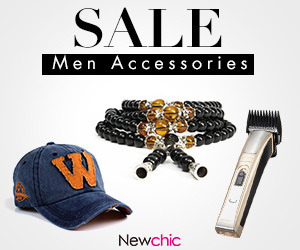 The material makes the grill durable but keeps the weight at a reasonable 42.5 pounds. It’s not the lightest grill on the market but it’s still manageable enough that you will be able to load it into your car, RV, boat, or anything that you are taking out camping or on a road trip. There’s a temperature gauge in the lid which helps when you are cooking birds or small roast cuts, and the gauge is accurate and will last for many years. The gas system is designed for disposable cannisters which helps to keep the grill convenient and portable. Some design features are quite surprising, such as the folding side shelves. On a grill of this size you might expect that shelves would be omitted altogether. The fact that they are present is testament to Weber’s commitment to both quality and functionality. 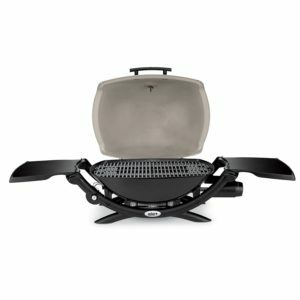 If you purchase the grill in its standard configuration you will note that it is intended for tabletop use, or directly on the ground over pavers or any other suitable flat surface, however, you can increase the versatility by purchasing the official Weber 6557 Q Portable Cart for Grilling. This increases the price, but it would be an excellent addition if you want something more convenient at a traditional cooking height. The stand is made from quality materials and has a great design that makes it the perfect accompaniment to one of the best propane grills. The 280 square inch cooking surface is reasonable, but it’s mostly suited to family cooking and small groups of people. A great design and sturdy construction can only go so far. If a grill can’t cook well, then it wouldn’t be worth the investment. Weber has a track record of making products that perform to the highest standards. Thankfully, the small Weber Q2200 is no exception. Size will be a limiting factor, but you likely already know this if you are in the market for a small grill. You could use this grill when entertaining during holidays and other events, just as long as you are aware that you would likely need a longer grilling session to get everybody fed. If you’re someone who likes standing around the grill to perfect your recipes, then this might be an advantage rather than a problem ! Even though the grill is small, it still features a generous hood that allows for top-down cooking. You can cook small birds on this grill as well as BBQ cuts, just as long as you choose the right size. It won’t be suitable for full roasts, large chickens and turkeys, or anything else that requires a significant amount of surface area and hood clearance. When working within the limitations you will find that the temperature gauge is highly useful, particularly for bone-in meats that require exact temperatures and longer cooking times. If you are cooking with the top open then you will find that it doubles as a splash guard which is great for searing steaks, sausages, or even burgers. 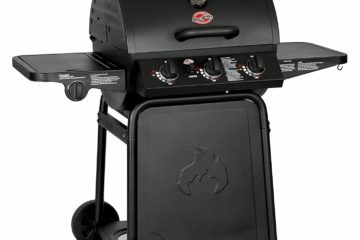 One of the features that makes this the best propane grill in its class is that it has a grease catch. Flare ups can be problematic on some smaller grills. 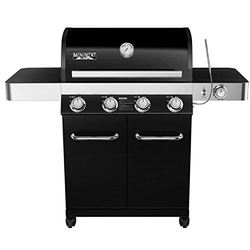 One of the features that makes this the best propane grill in its class is that it has a grease catch system and a grate design that directs grease away from your food and the gas burner. Flare-ups are essentially eliminated, which is particularly important with a small grill. Even heavily marbled steaks will be no trouble when you cook on the Weber Q2200. Although there’s only a single gas burner, it has a unique design that allows it to cover every area of the grill. You get similar coverage to a two-burner grill from just a single regulator. This is critically important for consistency in your food, and it’s a design feature that you will appreciate if you make the Q2200 your next purchase. The Weber gives us plenty of positives and only a few things that detract from the experience. Decent cooking surface suitable for a family of four. Excellent construction quality and design with folding side shelves. 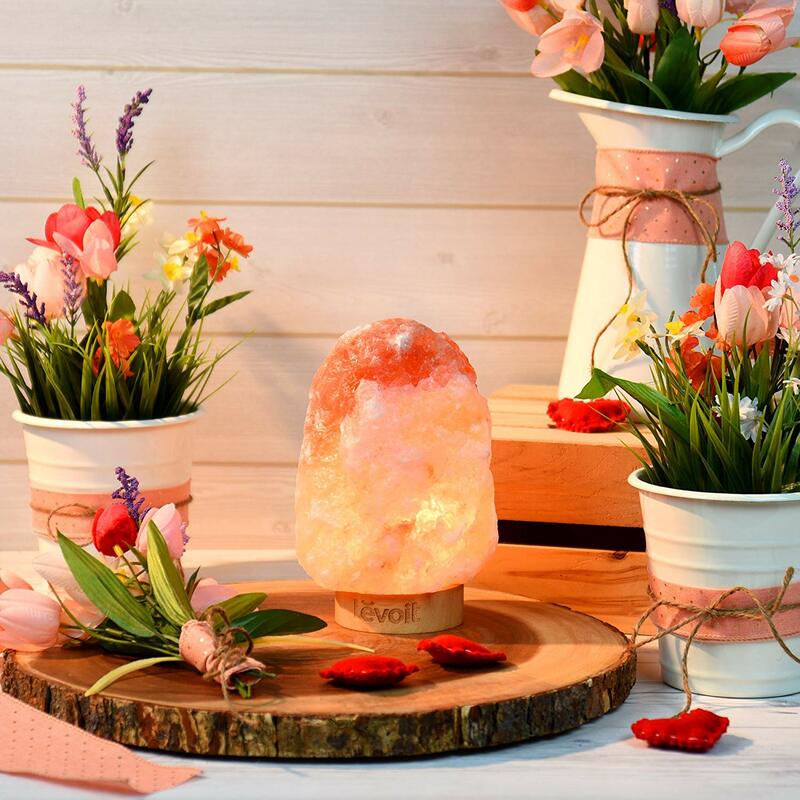 Attractive aesthetic, perfect for any modern home. Good cooking ability thanks to an efficient burner design and a generous hood. Runs from convenient disposable LP Gas cylinders. Easy to clean thanks to a grease collection system and enamel coated cooking grates. Can be used as a portable grill for storage in a vehicle or boat. Not as portable as a dedicated portable grill and heavier than average. Cart accessory is costly and makes this a similar price to a 2-burner grill. Not suitable for a natural gas hookup. Cannisters may not be ideal for people who grill every day. Cooking for larger groups will require an extended grilling session. Not suitable for larger birds or BBQ cuts. Is this the best propane grill that you can buy today? If this is around the size and price range that you’re comfortable with, then yes, it is easily one of the best on the market. 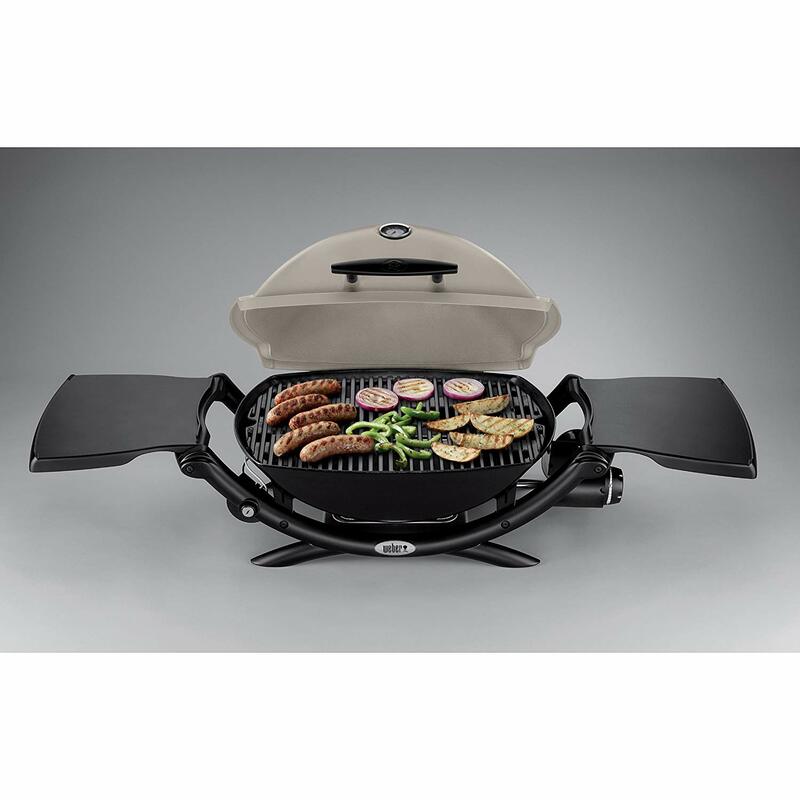 Weber puts all their grilling expertise, premium materials, and high construction quality into the Q2200. It’s an attractive grill that is perfect if you don’t want a large cart grill or a flimsy portable grill. It can be used for road tripping if you have the space and don’t mind the weight, and the disposable gas cannisters will be convenient for most people. Weber grills always come with a slight price premium and this one doesn’t buck the trend. It can get costly if you add the optional stand/cart. If you are willing to pay for quality and a grill that doesn’t make huge compromises, then this one is recommended. Customer reviews are indicative of just how good this grill is, and it currently enjoys an average 4.6/5 star rating from online buyers. You won’t be disappointed if you need something small and capable for home and occasional portable use.